One of our bestselling maps! 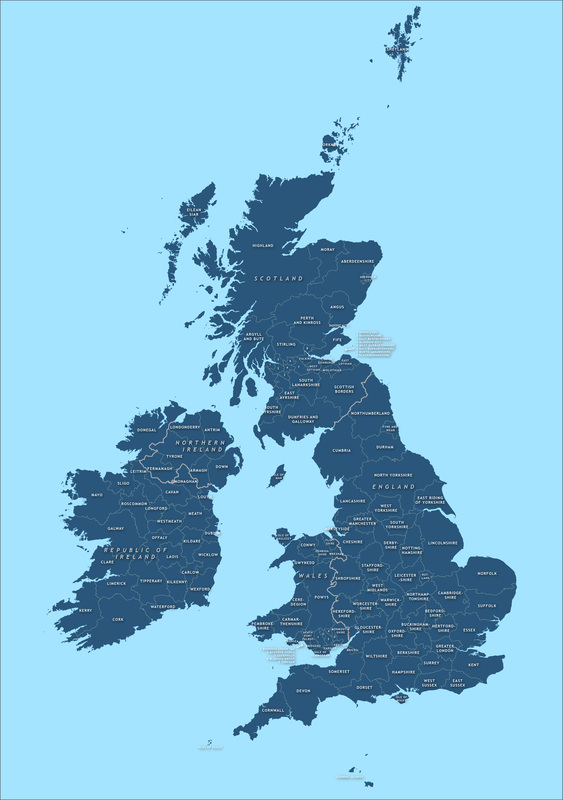 This editable map includes all the counties of England, Scotland, Wales, Northern Ireland and the Republic of Ireland. The map base is bundled with fully editable Illustrator and SVG formats, as well as with some ready to use JPEGs and a PDF in different colours. Our royalty free terms allow this map base to be used for any commercial purposes with no limit on print run or page views. 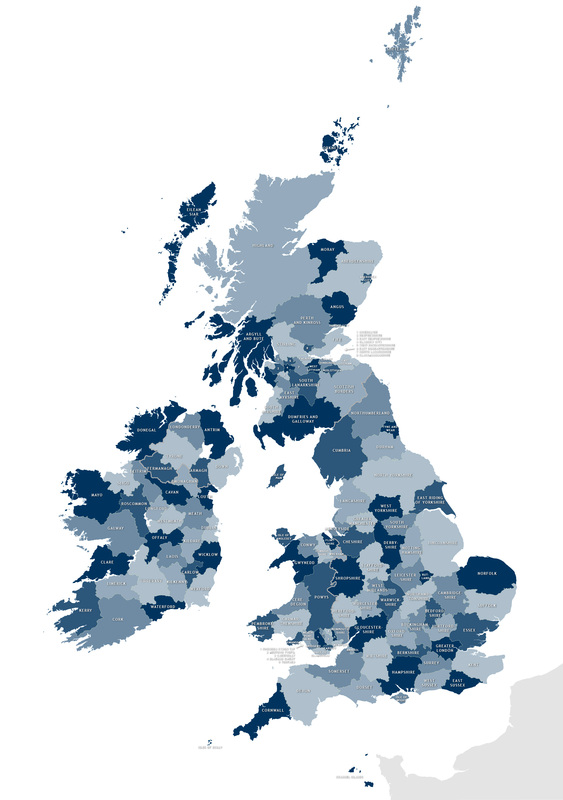 We know that you might want to highlight counties with different fill colours as well as showing county boundaries, so we have created paths and layers that make this tricky task easy. Four colour schemes are included, which you can refine as you please. The paths fit perfectly together, like a jigsaw. You can scale the live vector Illustrator or SVG formats to whatever size you want – from thumbnail up to poster or even billboard size – without any loss of resolution. If you’re looking for just the Irish counties, see the Map of Irish counties. Want town names, transport and other data as well as the counties? See the political map of the British Isles.